Samsung officially announced the launch of new Android Galaxy Player in India. The hype created by the Apple’s iPad in the market is going to be the old story with the launch of this new Android 2.1 media player which is inspired from the Galaxy S. This new device will go head-to-head with the iPad with its striking features. Samsung copied the specifications of Galaxy S into this Galaxy Player avoiding the calling options. It is expected to come with a price range of Rs.20000 in the Indian market. 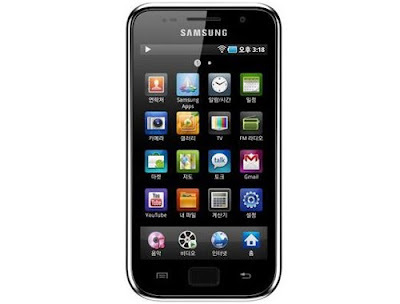 The Samsung Galaxy Player has GPRS/GSM/EDGE along with 3G connectivity of HSPA enhancement. It is more compact than the iPadand is powered by the Android 2.2 Froyo OS. The device weighs just 380g and looks really amazing. The design is more plastic with innovative features. It has a perfect clear LCD screen of 4-inch with 300x480 (WVGA).The Galaxy Player features a 3. megapixel camera with extra auto-focus snapper at the back side with LED light and a 1.3 megapixel camera at the front side. The Samsung Galaxy Player comes with a specification of 1GHz CPU, advanced DLNA support, Wi-Fi, an internal memory of 16GB that can be expanded up to 32GB with the microSD card. The Samsung Galaxy player also features an integrated GPS. The common feature of the player includes SoundAlive, DivX and FM Radio. It supports Flash player 10.1 and gives a perfect browsing experience. With the help of Bluetooth headsets, it can be used to make voice calls. This feature is not available in iPad and Galaxy Player is more superior with advanced features. It has a 1200mAh removable battery with a battery life of up to 13 hours. You are free to enjoy with the crisp TFT-LCD display and Wi-Fi 802.11. 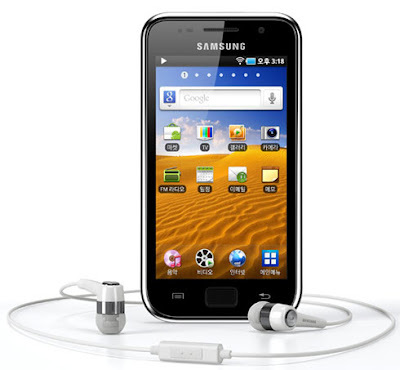 The Samsung Galaxy Player brings great performance and speed for all the activities. It allows you to easily access social networking sites and watch TV shows and movies on the media hub. The Android platform offers the best services to communicate and to freely enjoy with the applications. You can keep in touch with the people using the 3G connectivity and it gives a special comfort. The SWPYE technology and virtual QWERTY keyboard makes texting and email easier than before. The Samsung Galaxy Player is going to make a unique signature in the market with the highly advanced features that even competes with the Apple’s iPad.